Shandong Sunsmile Musical Instrument Inc is a division of Sunsmile Group, which was established in 1975. 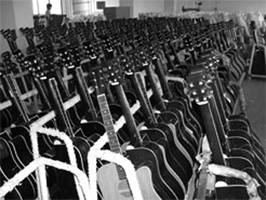 Sunsmile has had over 20 years of experience in the musical instrument industry, and we are specialists in all type of guitars. Committed to providing quality products with the latest fashion trends, it is our goal to provide our customers with the latest styles in professional guitars at the best prices. 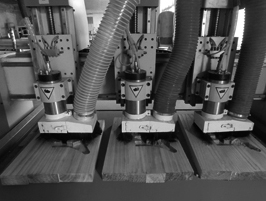 We use exclusively, seasoned and hand-picked wood to make our instruments. Our computerized precision manufacturing processes guarantee you superb craftsmanship, comfortable handling, rich sound and excellent playability. We consider ourselves to be the No. 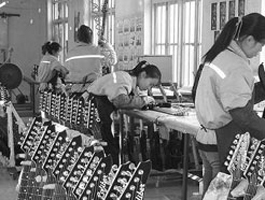 1 Guitar Manufacturer in China, not only because of our outstanding products, but also because of the outstanding service Sunsmile is capable of providing you. We value every inquiry from our customers, and that's why we guarantee to provide a quote for your inquiry within 24 hours. We make it a priority to provide quality products, best possible service and competitive pricing to our consumers around the world. Copyright © 2018 Shandong Sunsmile Musical Instrument Inc. All Rights Reserved.